I’m writing with joyful news! 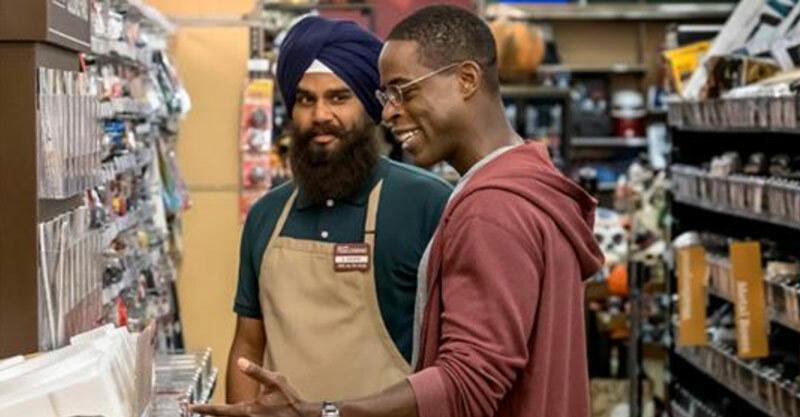 Tonight, the beloved and award-winning television show THIS IS US will include a Sikh American character! It will be a beautiful television moment — but it is also a key step in our movement to change the nation’s moral imagination. The stereotype of the “Muslim terrorist” has dominated America’s imagination since 9/11 (and before). Every television show, film, and news cycle that portrays us as “them” fuels the unjust policies and acts of hate against our communities. So how do we change that? We take the mic. We tell our own stories. We have seen it before: When the show Will and Grace first aired in 1998, it not only became a staple of LGBTQI culture — it also helped change American culture and shift policies for millions of people. For many years, my husband and film partner Sharat Raju and I have been working to lift up the stories of Sikh, Muslim, and South Asian American communities through independent films, and recently through television. This year, we found a hero and friend in actress/activist America Ferrera. 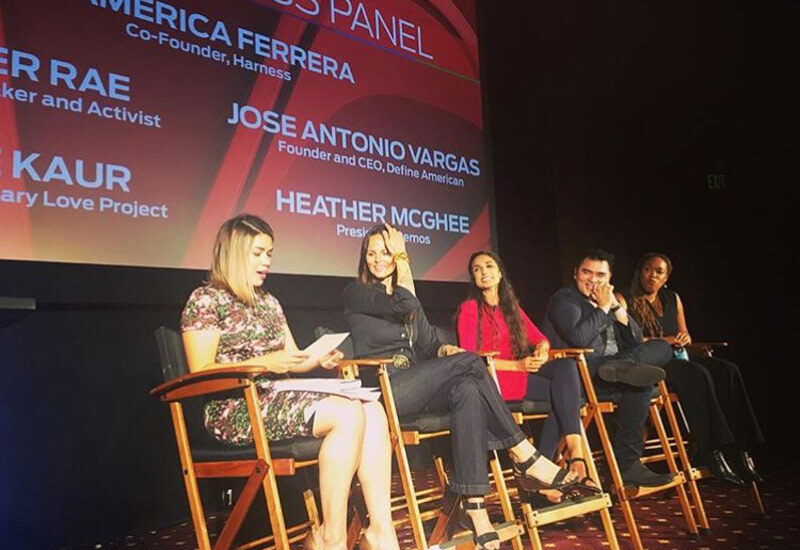 America and her team at Harness organized an event for the creators of all the shows on NBC. Our mission: To persuade them to see their art as a political act: In every television episode, they can choose to affirm the stereotypes that are killing us…. or counter them. I asked for NBC to put Sikh American characters on television. Any representation is ground-breaking for a community that has been virtually non-existent on television. If we are to change the nation’s moral imagination, it begins with putting us on screens. They started saying — Yes. The first show that stepped up: THIS IS US. Tonight’s episode is a first small step: a Sikh character in a tender scene. We have a long way to go. But I see it as part of a paradigm-shift in how our stories change how television and film gets made. This is what Revolutionary Love looks like in entertainment. And NBC is leading the way. Thank you to the THIS IS US co-show-runners Isaac Aptaker & Elizabeth Berger and to the executives at NBC. Thank you to the Sikh Coalition who answered our call to lend support in casting and production. Thank you to the whole team at Harness, especially sister Marya Bangee. Above all, thank you to our sister and champion America Ferrera. You are creating spaces in Hollywood that have never existed before. Look at what happens when we take the mic. This is just the beginning, everyone. We are continuing to work with writer’s rooms at NBC, and we have an exciting development in the works — and big news to come. Please stay tuned for my announcement later this year! In the meantime, pop the popcorn and tune in tonight for THIS IS US!